What Happens When a Salesperson No Longer Believes in a Product? 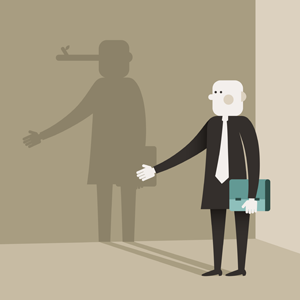 Sales teams are occasionally required to promote products they don't believe in. Nisha Ray Chaudhuri studied this phenomenon during her Doctorate of Business Administration (DBA) at Grenoble Ecole de Management. All sales representatives have stories to tell about a product they didn't believe in but had to sell. "The subject of my doctoral thesis was drawn from my own experience. During my first job, I had to recruit students for a university. I was successful and liked what I was doing. However, as students graduated and had difficulties finding jobs, I began to doubt the value of the program I was selling." explains Nisha Ray Chaudhuri, who is currently in charge of academics at Webster University in Thailand. She carried out a study with hundreds of people in marketing and sales jobs at higher education institutions around the world. "I gathered 145 completed surveys. Sixty percent of the answers I received were incomplete because participants didn't answer questions related to dissonance." adds Nisha Ray Chaudhuri. While the causes behind the loss of confidence in a product (or dissonance) have yet to be explained, this study clearly identified the consequences of such dissonance. Nisha Ray Chaudhuri used three key factors (job performance, job satisfaction and turnover intentions) to analyze its impact. The results were surprising: Despite the fact it contradicts personal convictions and leaves sales representatives in a state of stress, dissonance doesn't affect job performance and job satisfaction. "Since the study only examined the relationships between dissonance, job performance and job satisfaction, we don’t really know why this positive relation takes place. However, one can speculate that as long as a person believes they can change the way things are being done, then they will do everything in their power to resolve this problem." explains Nisha Ray Chaudhuri. The turning point occurs when a person feels powerless. In such situations, feelings of dissonance can quickly lead to lower job performance and satisfaction. As a result, this can cause employees to leave their jobs. As the hiring, training and retention of sales representatives is a costly process, companies must find ways to ensure that any feelings of dissonance are resolved in a satisfactory manner.